मिस्री चित्रलिपि at the Memphis museum with a statue of Ramesses II in the background. 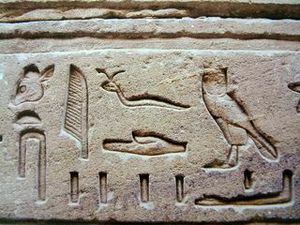 Hieroglyphs! Annotated directory of popular and scholarly resources.